And while I retained some center-bias in my modeling until 2014, when I re-modeled MCS to one with a right-bias in order to provide a stable head position while swinging, I never did the things Tiger Woods is doing to himself with his return to the “Back-Breaker” swing model. He started doing this with Sean Foley back in 2010, and I predicted nothing good would come of it – yes, he did win 5 events in ’13 when he was finally healthy enough to play regularly with that swing, but he promptly began to have back issues, culminating in the late ’14 back surgery and his abrupt departure from Foley’s stable. 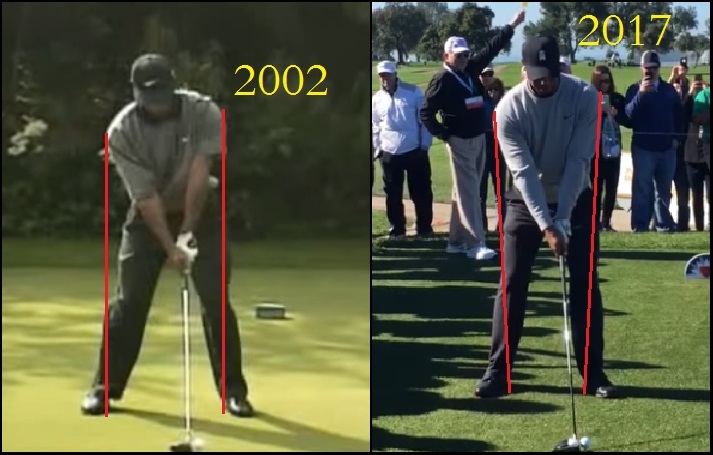 You can see that in ’01, he still had the slight rightward spine tilt, and he began to drift to the left during the Haney years, but he got all the way there with Foley. 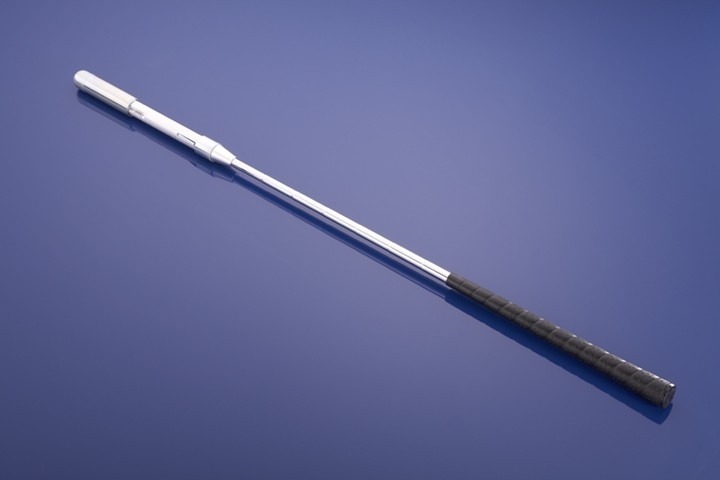 You remember that old saw about “keeping the head stable,” or at least as stable as was possible, during the swing? I mean, if you watch closely, you’ll see the head is moving right as the club head begins to go back. Thing is, if you start the swing with the head left and then have to adjust positions mid-swing to get that right head position, you’re going to be crunching that lower back all day long, until something gives. 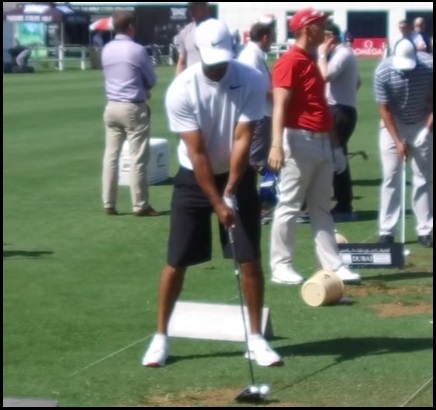 From address starting back, it is in constant motion, going back, dropping in the transition, jumping up and back at impact… how are you supposed to do anything with that much head motion during the swing? Not to mention, this swing looks like a 2/3’s full swing. I know it’s in slow motion, but you can see that there’s no power there, no speed, no anything – he can’t expect to play Tour golf with that swing. Some serious back-protecting going on there, looks to me. At least, that’s my conclusion – but we’ve seen him twice this year, and the results were a missed cut and a WD after 18 holes. I’d say I got it right.